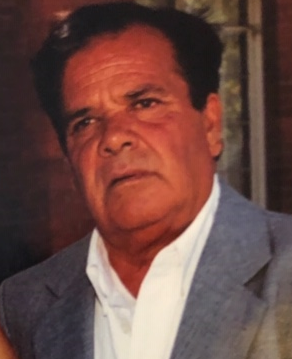 Mr. Guillermo Magana passed away surrounded by his loving wife and family on November 20, 2018 at Watsonville Post Acute Facility. He was born in Tangancicuaro, Michoacan Mexico on December 6, 1938 to his parents Rosa Andrade and Ambrosio Magana. He has been a local resident for the last 58 years. He was an avid walker and participated in walkathons and enjoyed playing poker. He also loved old Mexican movies one of his favorite actors was Mario Moreno “Cantinflas”. Mr. Magana enjoyed spending time with his family and making them laugh. He is survived by his wife Isabel Ventura and their children: Martha Leyva Magana, Irma Magana, Guillermo Magana Jr., Ambrocio Magana, Gloria Magana, Vanessa Magana and 23 grandchildren. He is also survived by his siblings Salvador Magana, Ambrocio Magana, Arturo Magana and Fernando Magana. Visitation will be held at Ave Maria Memorial Chapel on Thursday December 6, 2018 from 5:00 PM to 9:00 PM with the recitation of the Holy Rosary at 7:00 PM. Friday December 8 there will be a Funeral Mass celebrated at Assumption Church At 10:00 AM followed by burial at Valley Public Cemetery.